In a recent development, SSC has gone back on its word! According to one SSC Exam calendar released yesterday, the SSC CHSL Exam Date was postponed by 1 month! The exam scheduled from 4th to 26th March 2018 was postponed to 4th April 2018 to 26th April 2018. However, SSC has now released a fresh notification upon realizing that it erroneously gave a wrong date in the calendar. 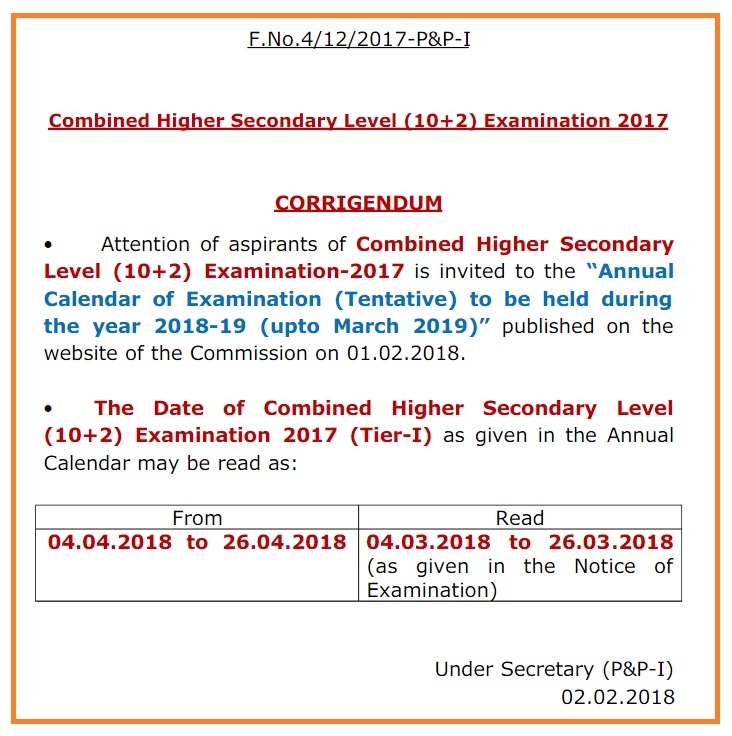 In the fresh notification it has announced that SSC CHSL exam will be conducted on the same dates i.e 4th March 2018 to 26th March 2018. Hence, SSC CHSL Exam Date for Tier I remains unchanged & SSC has rectified its mistake in this latest official notice. Read this article to know about the latest changes in the SSC CHSL exam dates & much more. The SSC CHSL Exam will take place from 4th March 2018 to 26th March 2018. 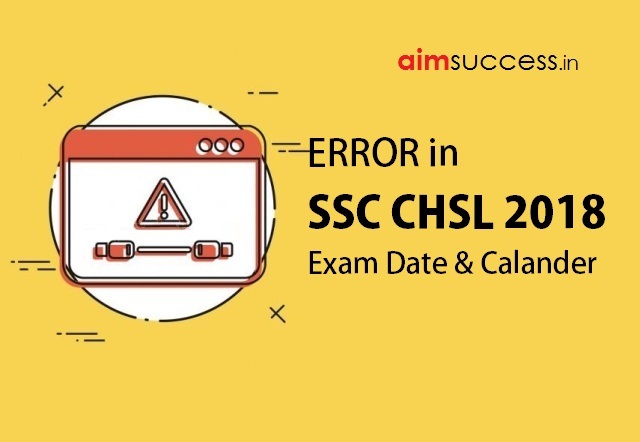 Make sure you understand the exam pattern for SSC CHSL exam. Typing Test/Skill Test (Tier-III) Examination for the post of Data Entry Operator, Postal Assistant & Sorting Assistant (PA/SA), Lower Division Clerk and Court Clerk. This year the SSC CHSL Tier I exam will consist of 60 minutes of time duration instead of 75 minutes. The written examination consists of Objective Type – Multiple choice questions, only. The questions will be set both in English & Hindi for Part-I, III & IV. There will be negative marking of 0.50 marks for each wrong answer. The SSC CHSL Tier II will take place in Pen and Paper Mode. The minimum qualifying marks in Tier-II would be 33 per cent. You can write the paper either in Hindi or in English. Tier-III of the Examination will be the Skill Test / Typing Test which would be of a qualifying nature.